Coolist Revolutionary Patent Registered Sleep Technology. "The pillows are simply the best. No more finding the cool spot on the pillow. 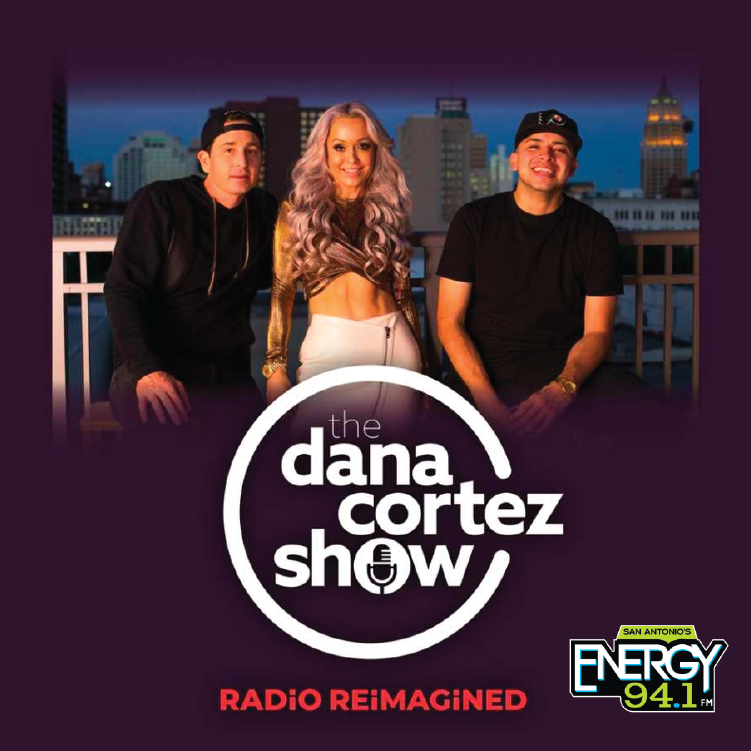 I’m a hot sleeper and this has hands-down given me the best sleep I’ve ever had – I have used all types of memory foam and tempurpedic pillows!" - Chad J. 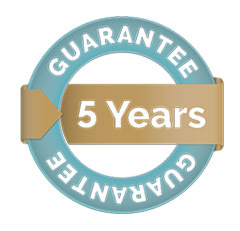 Different levels of comfort and support to suit all types of sleepers. Specially designed fabric & foam that is permeable for a silk-like feel, with moisture management. Unique design that allows for softness without compromising support. "The BioMate pillow is my favorite pillow – it’s refreshing to find a pillow for my sleep posture which is stomach, and sometimes side…well done!" - Kevin Y. Rapid Heat dissipation allows for consistent temperature regulation while sleeping. Nano-Technology that allows air flow to minimize the accumulation of heat. USDA-certified bio-based material that is eco-friendly, toxin free & hypoallergenic. 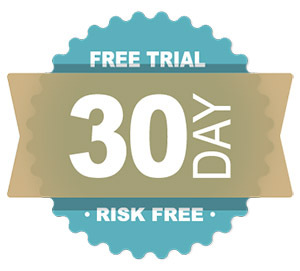 Unique cell structure responds instantly to your support needs without creating unwanted pressure points. Happy sleepers all around the world. 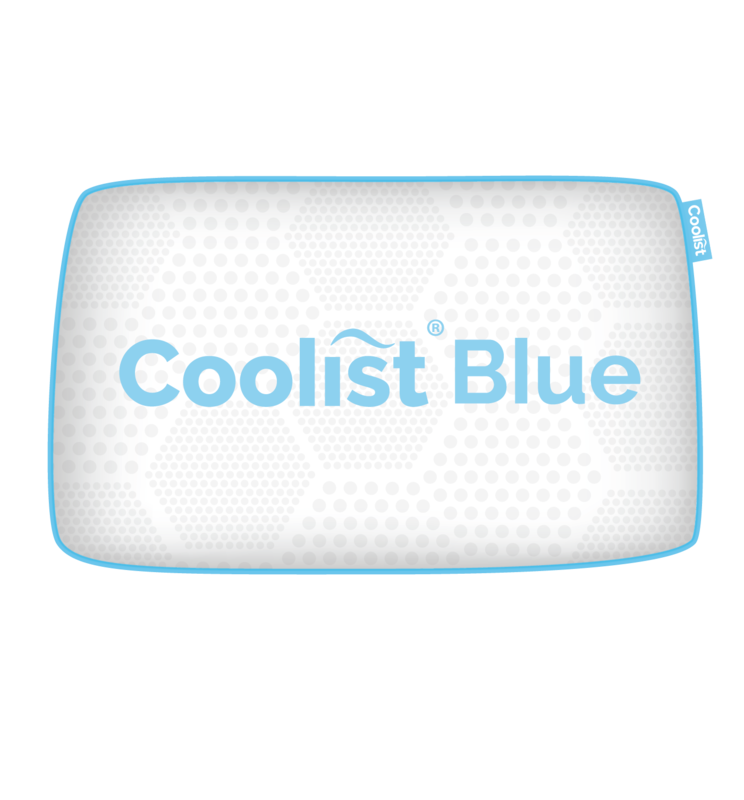 Coolist Blue cools rapidly to ensure a more consistent temperature as you sleep. Medium-soft surface comfort and support. Pressure relieving memory foam cradles the head and neck. ECO-friendly, Bio-based, and Biodegradable Material. Different levels of comfort & support to suit all types of sleepers. Rapid Heat dissipation allows for consist temperature regulation while sleeping. Coolist Blue provides softness, perfect for a deep sleep and good support. Bio-based material that is Eco-Friendly, toxin free & hypoallergenic. Coolist Blue is biodegradable, eco-friendly, and allergen-free. 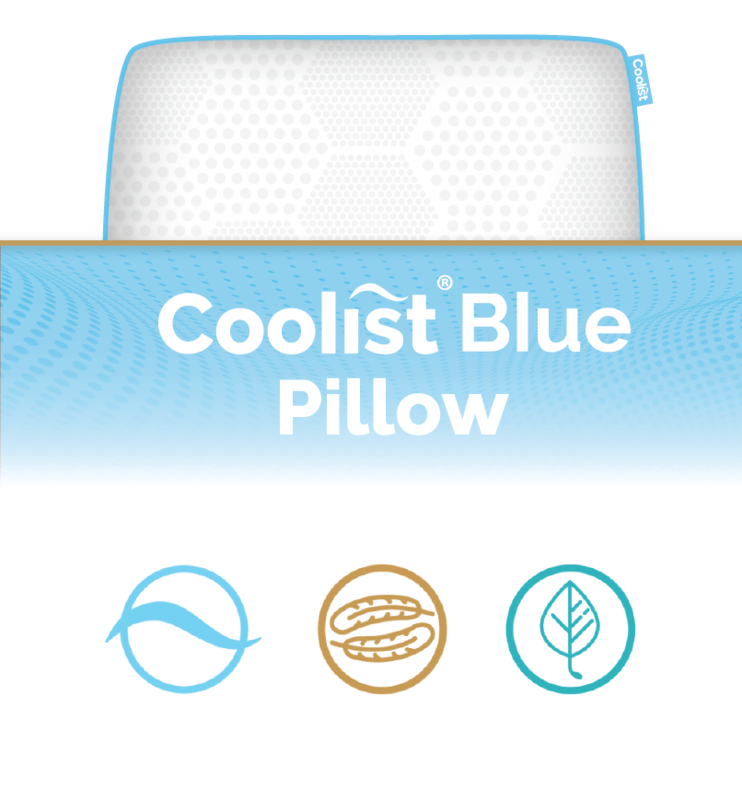 Coolist Blue pillows offer the most earth-friendly sleep option. Sleep comfortably knowing we don’t use toxic materials in our pillows. 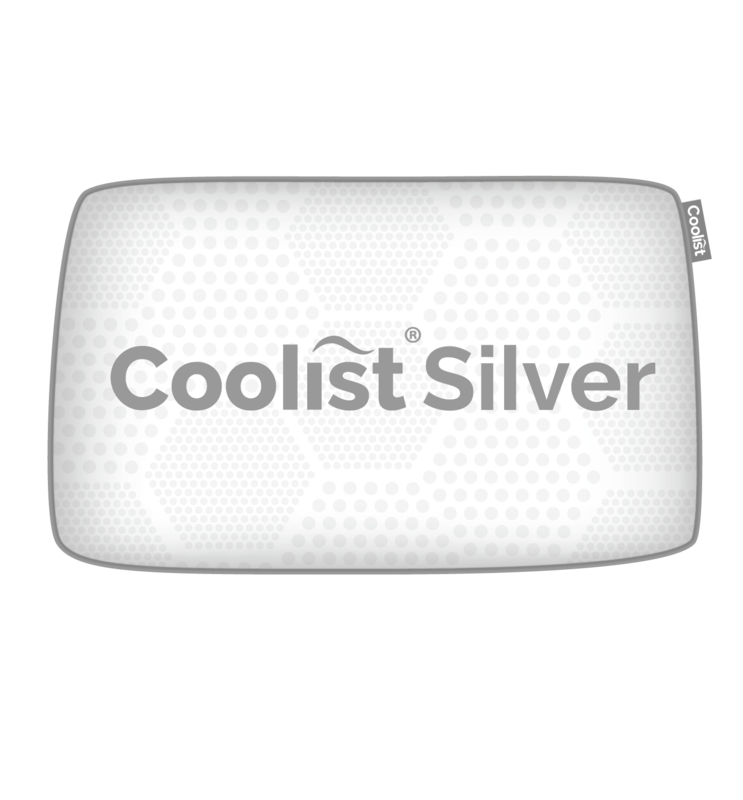 Coolist Silver cools rapidly to ensure a more consistent temperature as you sleep. Thermally neutral sleeping materials eliminate hot and cold spots for more restful sleep. USDA-certified Bio-based ECO-friendly Material and Biodegradable. Soft surface for comfort with medium firm support. Pressure relieving memory foam structure that cradles the head and neck, rapidly conforming to your body's shape. *Rapidly cools for ideal sleep temperature. *Soft feel with minimum surface pressure. Coolist Silver provides medium softness, perfect for a deep sleep and good support. USDA Certified Bio-based material that is Eco-Friendly, toxin free & hypoallergenic. Coolist Silver is biodegradable, eco-friendly, and allergen-free. 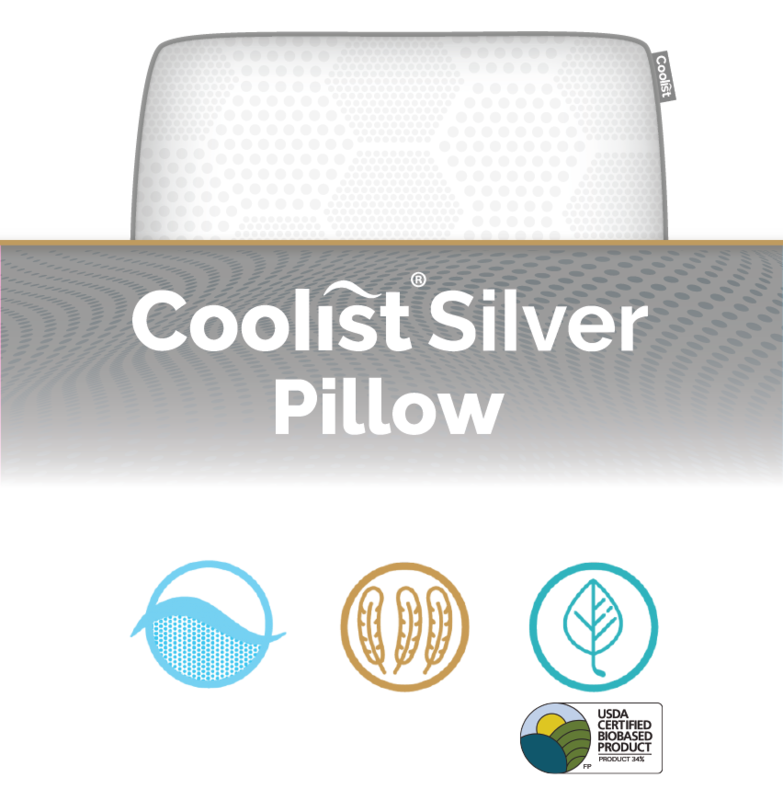 Coolist Silver pillows offer the most earth-friendly sleep option. Sleep comfortably knowing we don’t use toxic materials in our pillows. Coolist Pink Instantly cools to ensure a more consistent temperature as you sleep. Thermally neutral sleeping materials eliminate hot and cold spots for more restful sleep. Very Soft surface for comfort with medium firm support. *Instantly cools for ideal sleep temperature. *Weightless feel with pressure relieving comfort. Coolist Pink provides ultra softness, perfect for deepest sleep and great support. Coolist Pink is biodegradable, eco-friendly, and allergen-free. 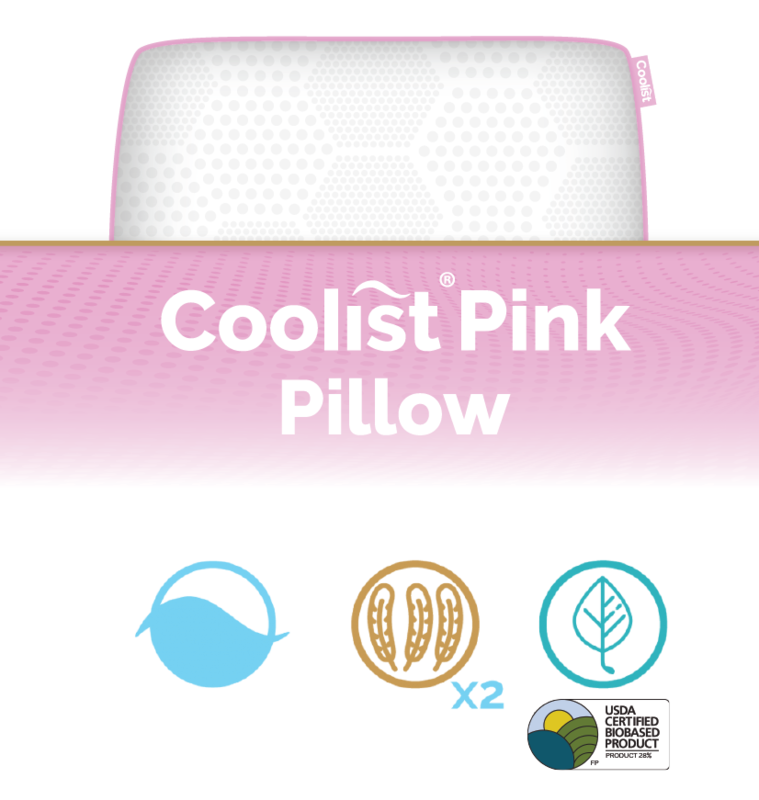 Coolist Pink pillows offer the most earth-friendly sleep option. Sleep comfortably knowing we don’t use toxic materials in our pillows. Coolist is helping the world recharge with a more restorative night's sleep, thanks to our revolutionary technology that provides comfortable, cool and customized pillows. We help you achieve a more restful night's sleep, one night at a time.